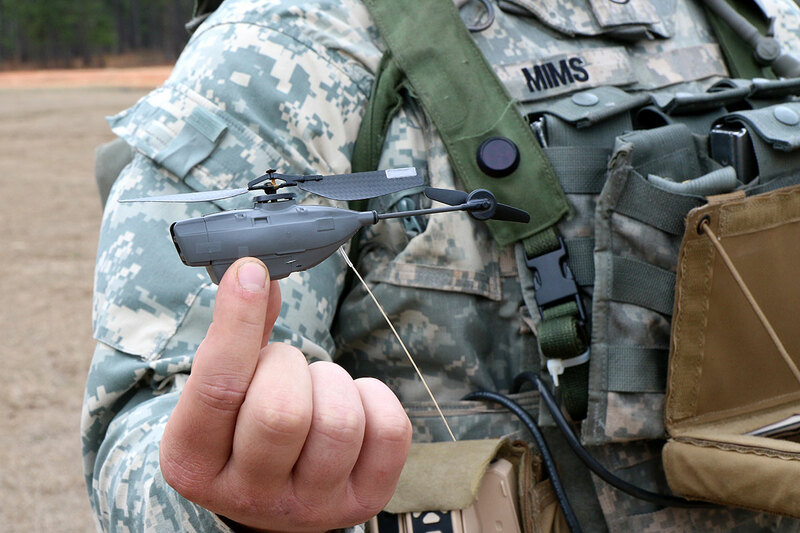 US Special Forces are testing a tiny drone that can fit into the palm of your hand and could change warfare forever, but despite looking like a toy and only weighing 18 grams this miniature drone comes with a big price tag - $40,000 to be precise. The tiny drone is called the PD-100 Black Hornet 2 and can fly up to 25 minutes with a range of two miles, equipped with both normal and thermal cameras and will be capable of both controlled and autonomous flight using its GPS autopilot feature. The drone was designed by a Norwegian company called Prox Dynamics. The British military has been implementing the device with soldiers since 2013 and now the US military is starting to show interest, its size making it perfect for undercover missions where stealth is required or to covertly collect data. Alternatively they can be used to &apos;swarm&apos; an enemy, confusing their radar systems with an overwhelming number of potential threats. Whilst a $40,000 price tag may seem steep for a device so small, when you consider the Pentagon is planning on spending $2.9 billion on autonomous systems in 2016 it becomes a drop in the ocean. Check out the video below to see it in action.